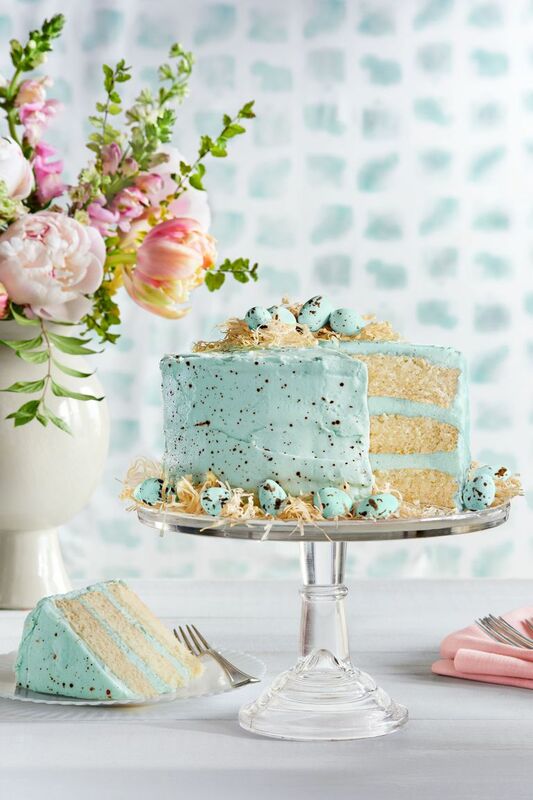 Looking for an Easter or Spring inspired cake? We have just the one! This cake is beautiful and tastes amazing. Your guests will enjoy this yummy dessert! Stir together food coloring and 2 drops water in a bowl. Dip the tip of a wide, stiff paintbrush into the mixture. Holding the brush 6 to 8 inches from the cake, gently fling the mixture onto iced cake. Repeat for desired effect. Spread Phyllo Nest around the base of the cake, and nestle robin’s egg candies in nest. Thank you Country Living for this recipe! Click Here to print your copy.